Welcome to Action Tire & Auto Center! What started as a dream by two young men in 1970 has evolved into a high-tech automotive repair shop, now being led by a second generation. 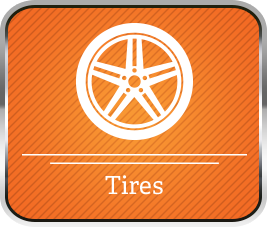 Over the years, the tire business evolved into adding specialized services such as computer diagnostics, fuel management, suspension and wheel alignment work. A/C work, engine repairs and just about anything automobile related. We believe today's technicians need to have the right equipment and the right training. Here at Action Tire & Auto Center our ASE certified staff logs in hundreds of combines hours of continuing education to stay ahead of today's ever changing automobile technology. So if it's a tire you need, trust the pros, we of course can make sure you get the best value for your dollar. If it's auto service you need, relax look no further, we'll take it from here. Since 1970, we’ve been trusted by the Troy, Tipp City & Piqua, OH, Communities for full automotive services and tire needs. We welcome you to Stop in and see how we can help you. At Action Tire & Auto Center, we have you covered when you need auto repairs. Whether you need preventive or routine maintenance, or something more complex, we’ve got you covered. We specialize in engine diagnostics and performance, wheel alignments and steering and suspension work. We log in many hours of continuing education to stay on top of the latest changes and constantly purchasing new equipment and software to diagnose your automotive problems. If there's something wrong with your car, and you're not sure what, use our online vehicle diagnostic center to figure out the problem. As the longest operating automotive repair shop in Troy, OH, we feel we're doing something right! Give us a call now at (937) 339-1375 to schedule your appointment. We’re located at 816 Harrison St in Troy, OH. Visit us Monday-Friday from 8:00 a.m.-5:30 p.m. We look forward to seeing you.